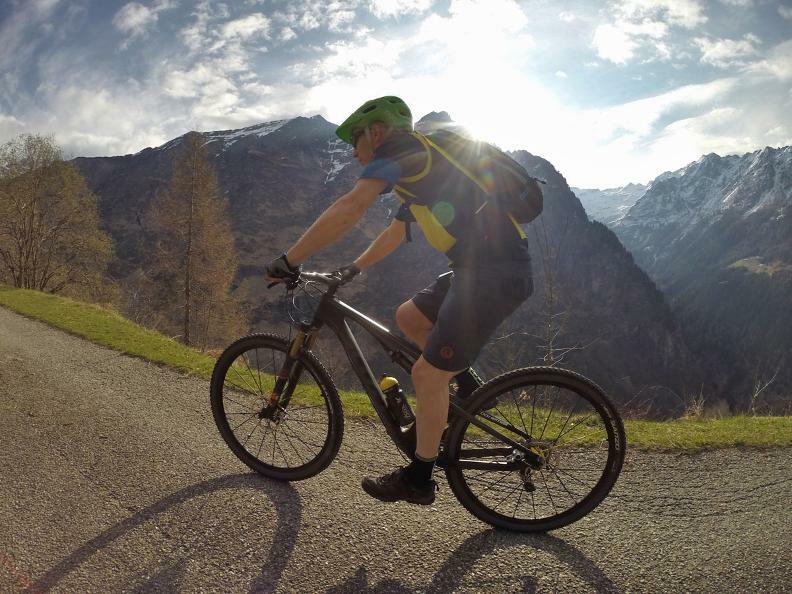 This route begins in Dagro, a typical Malvaglia Valley village on a terrace with elusive views of the valley floor and the Riviera mountains. Dagro is easy to reach from Malvaglia with the cable car or via the asphalt road that climbs the length of the valley. Malvaglia Valley is renowned for its five ancient «villages», which were inhabited all year round until the early 1900s. Dagro is one of these villages, which is located on a terrace on the sunniest right-hand slope and enjoys extraordinary views. It is also the terminal of the cable car from Malvaglia. 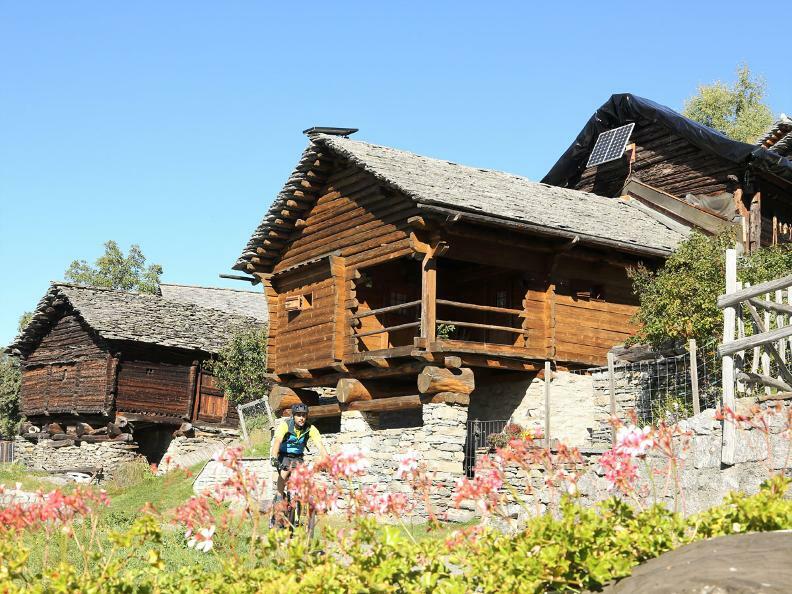 In Dagro, six wooden buildings dating back to the fourteenth century have been inventoried. 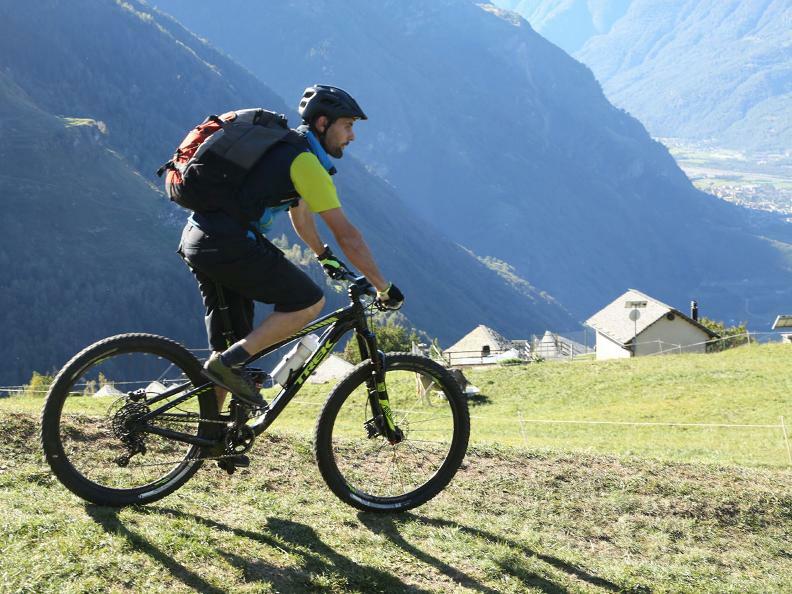 The first part of the route winds along the part asphalt, part dirt road from Dagro to Anzano and then rises to Cusiè. After reaching the car park you proceed along the wide path towards the Capanna Quarnèi hut, then change direction and ascend a path to the highest point of this route, at 1,822 metres above sea level. 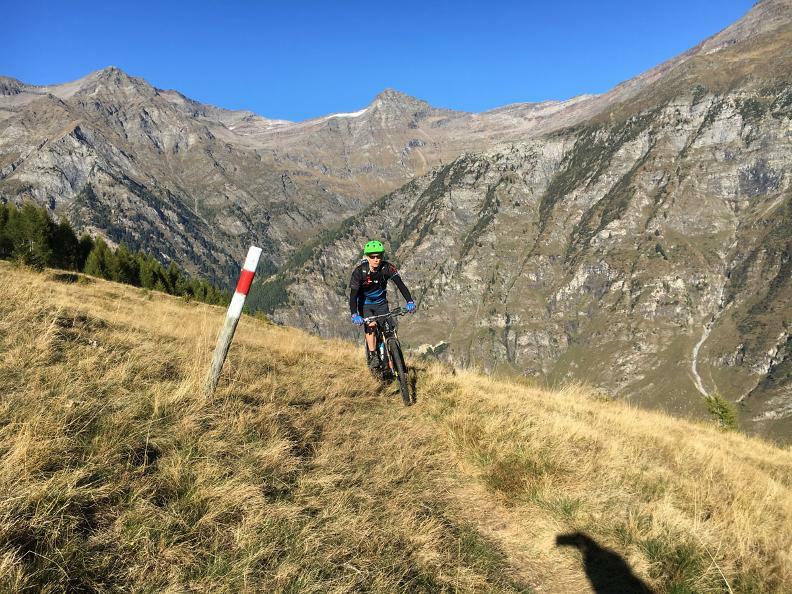 At this point, you ride along a high mountain path with breathtaking views of the Malvaglia Valley and the mountains overlooking it, exposed for the most part to the south-south-east, passing through small typical villages and conifer plantations. After leaving the woods, you pass the Dagro farmsteads, then descend the road through flowering fields to the Sass Malt restaurant and the mountain cable car station.